Ms. Davis released a sequel to The Cycle of Sound: A Missing Energetic Link with Say It With Sound: Hum, Harmonize and Heal, which connects how sound, one's voice, humming and breathing contribute to the process of Ototoning. Check it out on amazon.com. Manlius, NY – The Davis Center shares that Dorinne Davis, President/Founder of The Davis Center has been honored as an "Award-Winning Finalist in the 'Health: Alternative Medicine' category of The 2012 USA Best Book Awards, sponsored by USA Book News" for her book The Cycle of Sound: A Missing Energetic Link. USABookNews.com, the premier online magazine and review website for mainstream and independent publishing houses, announced the winners and finalists of THE 2012 USA BEST BOOK AWARDS on November 16, 2012. Over 400 winners and finalists were announced in over 100 categories covering print, e-books and audio books. Awards were presented for titles published in 2011 and 2012. Jeffrey Keen, President and CEO of USA Book News, said this year’s contest yielded over 1500 entries from mainstream and independent publishers, which were then narrowed down to over 400 winners and finalists. Keen says of the awards, now in their tenth year, “The 2012 results represent a phenomenal mix of books from a wide array of publishers throughout the United States. Edgar Cayce and Rudolph Steiner predicted that sound would be the medicine of the future. Dorinne Davis, in The Cycle of Sound: A Missing Energetic Link brings the use of sound, vibration and energy to a new level. Her Davis Model of Sound Intervention℠ is introduced as a model for the 21st century to discover how by balancing the personal sound vibrations of each person, one supports their overall learning, development and wellness challenges. A previously unidentified subtle energy system is introduced entitled The Voice-Ear-Brain Connection, which once balanced, allows each person to ‘hear’ what their body says it wants in that moment in time to feel better. The process supports a way for the body to begin a ‘self-healing’ approach towards feeling better, thinking more clearly, processing what is said better, feeling more alive, moving with more ease and less pain, communicating better, and so much more. Ms. Davis’ ideas were first introduced in her book Sound Bodies through Sound Therapy. This new approach is based on Ms. Davis’ research known as The Davis Addendum to the Tomatis Effect and provides the final pieces of what Dr. Alfred Tomatis first introduced with his Tomatis Effect over 50 years ago. Ms. Davis’ work demonstrates that the flow of energy between one’s voice, ear and brain must stay in balance for each person to feel whole and together, and provides a technique to do so. This missing energetic link allows each person to know what their body wants to feel better, and can be used with people of all ages and all issues. A process called, Ototoning, is introduced and teaches the reader how to use this technique daily to feel better. The process can be used during meditation, yoga, or simply whenever the person feels the need. The best responses are when the Voice-Ear-Brain Connection is already balanced which can be accomplished with the correct application of sound-based therapy(ies), as applied within The Davis Model of Sound Intervention. A diagnostic test battery takes the guesswork out of knowing if the person is balanced. Because the energetic balance is individualized, this process can be used for severely challenged individuals such as those on the autism spectrum to those simply trying to find an holistic approach to maintain their health and wellness. This concept fits into the fields of sound therapy, alternative medicine, holistic wellness, vibrational medicine, energy medicine and more because the process works at the quantum level of vibrational sound supporting the person with eventual self-healing. The Cycle of Sound: A Missing Energetic Link sets the stage to integrate sound as the medicine of the future. Dorinne S. Davis, MA, CCC-A, FAAA, RCTC, BARA, is the President/Founder of The Davis Center, Manlius, NY. She has been hailed as a Shining Star in the field of Sound and Energy. She is the author of 5 books including her current book: The Cycle of Sound: A Missing Energetic Link (an introduction to a new energetic link for making self-change), Sound Bodies through Sound Therapy (hailed as the primer for all sound therapies), Every Day A Miracle: Success Stories with Sound Therapy (16 heartwarming stories of sound therapy successes), Otitis Media: Coping With The Effects In The Classroom (A teacher’s compendium of classroom activities and responses), and A Parent’s Guide to Middle Ear Infections (An informational book for parents). She has written chapters in numerous other books. 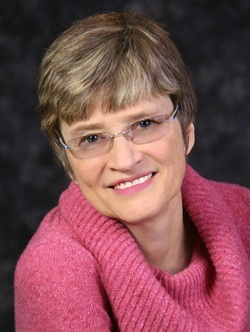 She has demonstrated the scientific principles behind the Voice-Ear-Brain Connection℠ in The Davis Addendum to The Tomatis Effect, and established The Tree of Sound Enhancement Therapy® from which her Diagnostic Evaluation for Therapy Protocol (DETP®) provides the correct administration of any sound-based therapy. Ms. Davis is credentialed in 20 different sound-based therapies and her background as an audiologist, educator and sound therapist provides the foundation to The Davis Center’s unique Total Person approach, called The Davis Model of Sound Intervention℠. The Davis Center is considered the world’s premier sound therapy center and Ms. Davis is recognized as the world’s leading sound-based therapist. She has worked with thousands of people, young and old, learning challenged and normal, making change with their response to sound using sound-based therapies. Her work going forward bridges the gap between sound healing and sound-based therapy with the introduction of a new concept called ‘Ototoning’ and her patented device called the “Ototoner”. Ms. Davis is an international speaker in the field of sound therapy. She was the Key Note speaker at the International Sound Therapy Association November 2011 and has presented at many sound healing conferences such as the International Sound Healing Conference in 2008 in Santa Fe, New Mexico, the World Sound Healing Conference in 2007 San Francisco, California, and the Global Sound Conference 2008 in Marina Del Rey, California and many conferences related to learning and medical challenges including issues of autism, AD/HD, Williams syndrome, learning disabilities, dyslexia, chromosome imbalances, adoption, and more. She has presented in England, Australia, Korea, Spain, Austria, China, and Russia. The Davis Addendum to the Tomatis Effect was introduced to the United States in 2004 at the Acoustical Society of America and to Europe at the PAN European Voice Conference in the Netherlands in August 2007. At the ISSSEEM conference in 2011 she introduced the concept of an energy system between the voice, ear and brain. In 2012, she introduced her new concepts at the Making Sense of Sounds conference in Plymouth, England. She had two radio shows: 1) www.AutismOne.org and 2) CBS radio through www.NewSkyRadio.com. Websites discussing her work are www.DorinneDavis.com and www.thedaviscenter.com. For more information about the technique of Ototoning which is introduced in this book, go to www.ototoning.com. Email her if you would like to discuss her work.